Five Matie hockey players and four former Matie hockey players were included in the national women’s hockey team currently representing South Africa in the Hartleyvale test series. The team has already played two matches against the Netherlands and will play nine more tests, against Australia en Belgium respectively. Maties Sportswoman of the Year foe 2013 Quanita Bobbs is one of the Matie players participating in the series. The other are Hanli Hattingh, Ilze Davids, Erin Hunter and Tarryn Glasby. A former Stellenbosch University (SU) Sportswoman of the Year and double Olympian Kathleen Taylor has also been called up for service. Other former Maties in the team is Shelley Russel, Tarryn Bright and Lenise Marais. 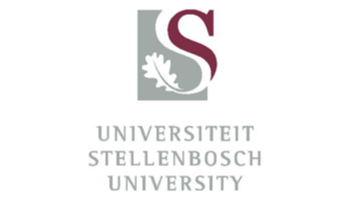 Ms Jackie Wiese, Director: Maties Sport, said SU is especially proud of Tarryn Glasby who, as a school learner played for Maties in 2013, and who also represented Maties in the U/21 team. “We are very proud of all of you and we wish you the best for your hockey careers. Remember – once a Matie, always a Matie,” she added.